The Human Rights Committee will hold its 123rd Session from July 2 to July 27, 2018 in Geneva, Switzerland. According to the proposed programme of work and provisional agenda, the Human Rights Committee will consider the State reports of Algeria, Bahrain, Lao People’s Democratic Republic, Liberia, and Lithuania. The Human Rights Committee will also consider the country situation in The Gambia, in absence of a State report. After considering reports from States and civil society, the Human Rights Committee will later issue concluding observations on each State under review, noting challenges and positive developments in the implementation of the States’ obligations under the International Covenant on Civil and Political Rights (ICCPR). Additionally, the Human Rights Committee’s task forces will adopt lists of issues on reports from Angola, Niger, and Viet Nam. The States’ responses will be posted on the Committee’s webpage. The Human Rights Committee will also adopt lists of issues prior to reporting as part of the simplified reporting procedure for Germany and Israel. The Committee will consider the responses to the lists of issues in place of a State report. Finally, the Human Rights Committee will consider a list of issues in absence of a report for Eritrea. In closed sessions, the Committee will also consider communications that allege violations of the ICCPR. According to the Information Note for non-governmental organizations (NGOs), civil society members wishing to attend the Human Rights Committee’s session must have registered for accreditation through the Indico system by June 22, 2018. Information on the States parties under review during this session needed to be submitted by June 11, 2018. To view the session documents, including State reports, alternative reports from civil society, and information for NGOs, visit the 123rd Session webpage. For more information on the Human Rights Committee, visit IJRC’s Online Resource Hub. The Committee on the Elimination of Discrimination against Women (CEDAW Committee) will hold its 70th Session from July 2 to July 20, 2018 in Geneva, Switzerland. According to the proposed programme of work and the provisional agenda, the CEDAW Committee will review State reports from Australia, the Cook Islands, Cyprus, Liechtenstein (under the simplified reporting procedure), Mexico, New Zealand, State of Palestine, and Turkmenistan. The CEDAW Committee will review answers to lists of questions from Liechtenstein as its State report, as called for under the simplified reporting procedure. After reviewing State reports and alternative reports from civil society on the States under review, the CEDAW Committee will discuss any follow-up matters and issue concluding observations on each State at a later date, noting positive developments and challenges to implementation of the Convention on the Elimination of All Forms of Discrimination against Women (CEDAW). Civil society was invited to participate in the session by providing relevant country information, which can be shared through written submissions or oral statements. Written submissions had to be sent by June 11, 2018 to cedaw@ohchr.org. Oral interventions by NGOs occur during informal public meetings with the CEDAW Committee that take place once a week during each of the two weeks of the session. Each of the meetings focus on the corresponding countries under review during the given week. Civil society may make statements during those meetings, which may be viewed during the public webcast. Civil society members wishing to attend the Committee’s session must register for accreditation through the Indico system by July 20, 2018. To view the session documents, including State reports, visit the 70th Session webpage. For more information on the CEDAW Committee, visit IJRC’s Online Resource Hub. This month, the CEDAW Committee will also hold its 72nd Pre-Sessional Working Group from July 23 to July 27, 2018 in Geneva, Switzerland. According to the 72nd Pre-Sessional Working Group webpage, the CEDAW Committee will consider the State reports of Angola, Antigua and Barbuda, Botswana, Colombia, Ethiopia, Serbia, and the United Kingdom of Great Britain and Northern Ireland on their implementation of the CEDAW. Civil society wishing to participate should register through the Indico system by July 27, 2018. To view documents for the CEDAW Committee’s 72nd Pre-Sessional Working Group, including State party reports, visit the 72nd Pre-Sessional working group website. For more information on the CEDAW Committee, visit IJRC’s Online Resource Hub. The Committee Against Torture (CAT) will hold its 64th Session from July 23 to August 10, 2018 in Geneva, Switzerland. According to the programme of work and the provisional agenda, in July the CAT will review State reports from Chile, Mauritania, the Russian Federation, and the Seychelles. After considering the State reports, the CAT will at a later date issue concluding observations on each State, noting the positive developments and challenges to implementation of the Convention against Torture and Other Cruel, Inhuman or Degrading Treatment or Punishment. According to the programme of work, the CAT will hold private meetings with civil society. Each scheduled meeting with NGOs corresponds to a single country under review. Civil society members wishing to attend the Committee’s session must register for accreditation through the Indico system by August 10, 2018. To view the session documents, including State reports, visit the 64th Session webpage. For more information on the CAT, visit IJRC’s Online Resource Hub. The Committee on the Elimination of Racial Discrimination (CERD) will hold its 96th Session from August 6 to August 30, 2018. Civil society organizations wanting to attend the session must register through the Indico system by August 30, 2018. For more information on the CERD, visit IJRC’s Online Resource Hub. The Committee on the Rights of Persons with Disabilities (CRPD) will hold its 20th Session from August 27 to September 21, 2018. Civil society organizations wanting to attend the session must register through the Indico system by September 21, 2018. For more information on the CRPD, visit IJRC’s Online Resource Hub. 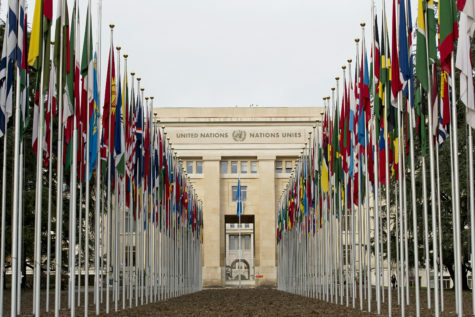 The UN Human Rights Council will continue its 38th Session in Geneva, Switzerland. The session began on June 18 and will end on July 6, 2018. According to the session agenda, the Human Rights Council has received the annual report and other reports from the UN High Commissioner for Human Rights, the UN High Commissioner’s office, and the UN Secretary General; final outcome reports from the Universal Periodic Review Working Group on specific States for the Council to adopt; and reports from UN special procedures mandate holders. The list of reports is available on the session’s webpage. The Human Rights Council will select individuals from a proposed list candidates to fill the UN special procedures mandates of the Special Rapporteur on the issue of human rights obligations relating to the enjoyment of a safe, clean, healthy and sustainable environment; Special Rapporteur on the situation of human rights in the Islamic Republic of Iran; two members of the Working Group on the issue of human rights and transnational corporations and other business enterprises, respectively from African States and Eastern European States; and a member of the Working Group on the use of mercenaries as a means of violating human rights and impeding the exercise of the right of peoples to self-determination, from Western European and other States. Only NGOs in consultative status with the United Nations Economic and Social Council (ECOSOC) can be accredited to participate in the Human Rights Council’s sessions as observers. NGOs accredited as observers may attend and observe the Council’s proceedings that are open to NGOs; submit written statements; make oral interventions; participate in debates, dialogues, and discussions; and engage in side events. For more information on accreditation and participation in the Human Rights Council’s sessions, visit its page on NGO participation. Relevant documents and other information, including the reports considered during the session, submissions from civil society, and the Council’s programme of work, are available on the Human Rights Council’s 38th Session webpage . The Human Rights Council holds at least three regular sessions per year and may hold additional special sessions to address urgent human rights violations if one third of the Member States request it. The Council is an inter-governmental body of the United Nations, composed of 47 UN Member States that are elected by the UN General Assembly. The Human Rights Council is responsible for the promotion and protection of human rights and is tasked with addressing human rights violations and making recommendations. Its mandate covers all human rights issues. Among the mechanisms that facilitate the Human Rights Council’s mandate are the Universal Periodic Review, the Advisory Committee, and the Complaint Procedure. For more information about the Human Rights Council, visit IJRC’s Online Resource Hub. The Expert Mechanism on the Rights of Indigenous Peoples, a group of experts that provides the Human Rights Council with expertise and advice on the rights of indigenous peoples, will hold its 11th Session in Geneva, Switzerland from July 9 to 13, 2018. At its annual sessions, the Expert Mechanism engages with State representatives, indigenous peoples, civil society, inter-governmental organizations, and members of academia. According to the provisional agenda and programme of work, at this session, the Expert Mechanism will elect officers; study and advise on free, prior, and informed consent; engage in interactive dialogues with national human rights institutions, regional human rights institutions, and indigenous human rights institutions; host a panel discussion on recognition, reparation, and reconciliation; host a panel discussion on cultural heritage, indigenous languages, and traditional knowledge; and host a dialogue with the Special Rapporteur on the rights of indigenous peoples, members of the CEDAW Committee, and members of the Human Rights Committee on the UN Declaration on the Rights of Indigenous Peoples, including good practices and lessons learned. Those interested in attending the session must register through the Indico system by June 13, 2018. To view the session’s provisional agenda and programme of work, visit the 11th Session webpage. Various UN special procedures have activities scheduled for July. One special rapporteur and one working group will carry out country visits this month. The Working Group on the issue of human rights and transnational corporations and other business enterprises is scheduled to visit Kenya from July 2 through July 11, 2018. The Special Rapporteur on the situation of human rights in the Democratic People’s Republic of Korea is scheduled to visit the Republic of Korea from July 2 through July 6, 2018. During their country visits, these independent experts will assess both the overall human rights situation in the country and issues specific to their thematic focus. Experts also meet with civil society, government, and national human rights institutions when they visit a country. Their findings are published later in reports addressed to the Human Rights Council and the General Assembly. See OHCHR, Country and visits of Special Procedures. To view the full list of forthcoming country visits, visit the OHCHR website. For more information on each special procedure, visit IJRC’s Online Resource Hub. The ECtHR is a regional human rights judicial body based in Strasbourg, France. The Court has jurisdiction over alleged human rights violations under the European Convention on Human Rights, which may be submitted by individuals and States against States parties to the Convention. For more information on the European Court of Human Rights, visit the IJRC’s Online Resource Hub. The European Committee of Social Rights (ECSR) of the Council of Europe will hold its 300th Session from July 2 to July 6, 2018 in Strasbourg, France. The agenda for this session is available on the European Committee of Social Right’s calendar, and the synopsis of the meeting will be published at a later date. The ECSR assesses States’ compliance with the European Social Charter, which protects economic and social rights. During its sessions, the ECSR reviews collective complaints, examines national reports, and follows up on the Turin process, which aims to improve implementation of the Charter at the continental level. According to the ECSR’s agenda, the ECSR will consider State reports concerning the Charter’s labor rights from the Netherlands, the Czech Republic, the Slovak Republic, Cyprus, Germany, Estonia, Denmark, the Russian Federation, and Norway during this session. Further, according to the ECSR’s calendar for national reporting, the ECSR will consider simplified reports on the same topic from France, Greece, Portugal, Italy, Belgium, Bulgaria, Ireland, and Finland throughout the 2018 calendar year. Simplified reports focus on areas of non-conformity identified in the Committee’s previous conclusions. The Committee adopts and publishes conclusions at the end of the calendar year on each State’s compliance with the relevant provisions of the European Social Charter. The Committee’s conclusions may also include recommendations. See IJRC, European Committee of Social Rights. The European Committee of Social Rights is a regional human rights body that oversees the protection of certain economic and social rights in most of Europe. In addition to the reporting system, the Committee also receives collective complaints against States on violations of the European Social Charter. Fifteen States have accepted the jurisdiction of the collective complaints procedure. See IJRC, European Committee of Social Rights. For more information on the European Committee of Social Rights, visit IJRC’s Online Resource Hub. The 125th Regular Session of the Inter-American Court of Human Rights (IACtHR) will take place from July 16 to 19, 2018 in San Jose, Costa Rica. During its sessions, the IACtHR typically holds public hearings on the merits of individual complaints and deliberates on contentious cases alleging human rights violations. The IACtHR has jurisdiction over cases brought against a Member State of the Organization of American States (OAS) that has accepted the Court’s jurisdiction as authorized by Article 62 of the American Convention on Human Rights. There are 20 OAS Member States that have opted into the IACtHR’s contentious jurisdiction, which are Argentina, Barbados, Bolivia, Brazil, Chile, Colombia, Costa Rica, Dominican Republic, Ecuador, El Salvador, Guatemala, Haiti, Honduras, Mexico, Nicaragua, Panama, Paraguay, Peru, Suriname, and Uruguay. The contentious cases reviewed by the Court are always first processed by the Inter-American Commission on Human Rights. The IACtHR also has authority to issue advisory opinions. For more information on the IACtHR, visit IJRC’s Online Resource Hub. For more information on UN treaty bodies, the Human Rights Committee, the Committee on the Elimination of Discrimination against Women, the Committee Against Torture; the Committee on the Elimination of Racial Discrimination, the Committee on the Rights of Persons with Disabilities, the UN Human Rights Council, the UN special procedures, the Working Group on the issue of human rights and transnational corporations and other business enterprise, the Special Rapporteur on the situation of human rights in the Democratic People’s Republic of Korea, the Special Rapporteur on the rights of indigenous peoples, the European Committee of Social Rights, the European Court of Human Rights, and the Inter-American Court of Human Rights, or for upcoming sessions and hearings, visit IJRC’s Online Resource Hub.